Having spent the last month visiting the remarkable city of Paris, I have returned with a new appreciation for a number of distinctly French things. Besides the Normandy butter, melt-in-your-mouth croissants, rich dark coffee, organic meats, stunningly fresh and beautiful produce, not to mention the world class art and architecture, I’ve come to appreciate something which has quite taken hold of me, and spurred a great deal of thought and interest. That is the French art of conversation. While traversing countless parks, gardens, cafes, restaurants, art galleries, museums, cathedrals, and other public places, I was continually struck by the way in which the French engage with one another through the medium of speech. 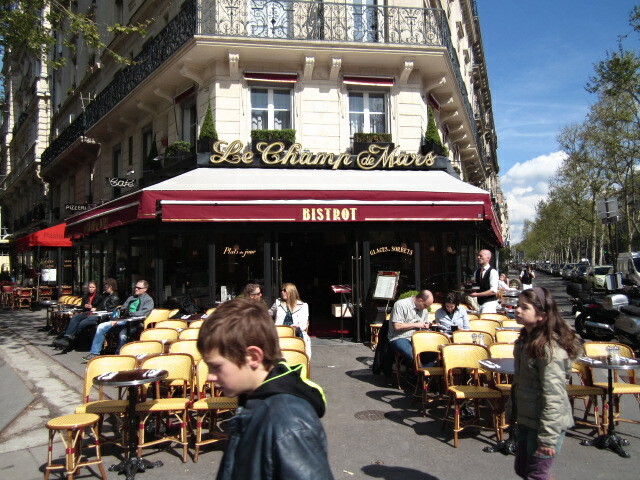 Whether observing a work of art, or visiting over an espresso, the French are devoted to conversation. One thing which immediately becomes apparent, is that the French do not consider gazing at one’s iphone or smartphone while conversing the least bit civilized. You simply don’t see it. The French parks are filled with people of all ages, of all socioeconomic strata, and of diverse racial heritage. 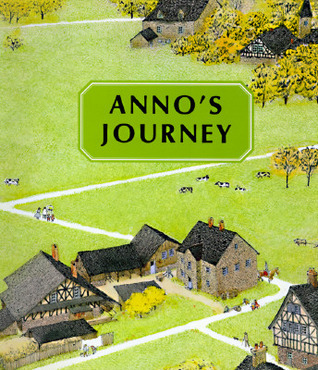 And while they are conversing, they are looking directly at one another, completely engaged. Their conversations are animated, apparently interesting to both parties (or multiple parties, as the case may be), and they are polite in their tone, and respectful in that they consider making eye contact essential to meaningful exchange. In pondering this, I have been struck by how far our American culture has slipped in something so fundamental to a civilized society. The saturation of PDAs in American society has done little to improve true communication. If eye contact is fundamental to real exchange, then no wonder we seem to have slipped so far in the last few decades. What kind of effects will a degeneration in true conversation portend for our future? In reviewing a classic book I am currently preparing for publication, I came across this statement by Benjamin Franklin from his Autobiography, and it seems to strike at some essential components of meaningful human interaction. It is to be wondered how much Franklin developed these notions about conversation due to his long tenure in France as America’s ambassador. Franklin’s perspective certainly gives one pause if applied to much that is considered “talk” today. How will our loss in this area affect future diplomacy, family relationships, and the civil discourse necessary to a true “liberal arts” education? Is there a bright future for reasoned and civil discourse in this country? Americans (yes, us!) 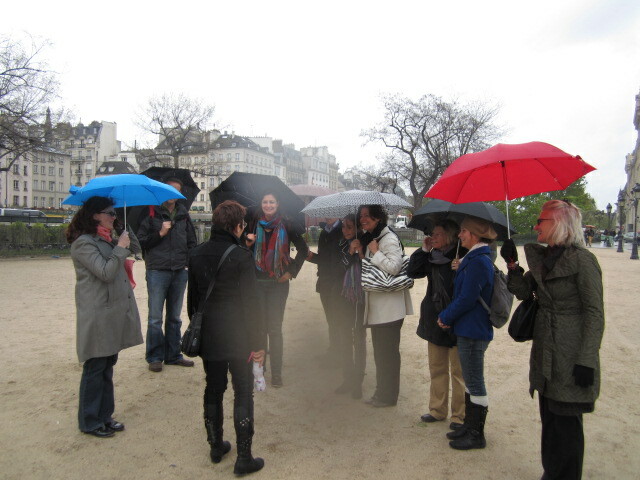 conversing excitedly in front of Notre Dame de Paris, despite the cold wind and rain! something we perhaps can’t completely understand or define, but something critical nonetheless. 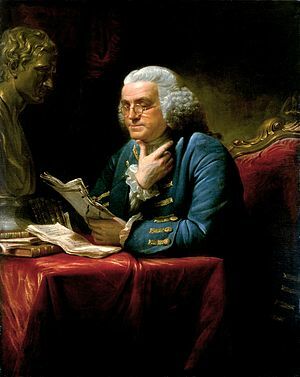 That, combined with Franklin’s plea for well-meaning and sensible men to be modest and pleasant in their conversation, are simple but powerful tools available to anyone with their sense of sight and speech intact. What do you think? How have these ideas impacted your life? Does the art of conversation come naturally to you?